Author: Djebar, Assia Set In . 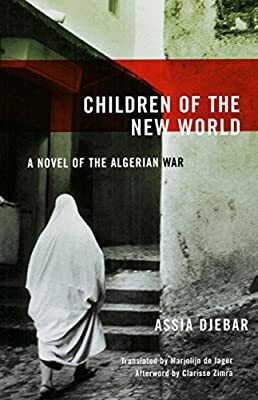 . .
Assia Djebar, one of the most distinguished woman writers to emerge from the Arab world, wrote Children of the New World following her own involvement in the Algerian resistance to colonial French rule. Like the classic film The Battle of Algiers?enjoying renewed interest in the face of world events?Djebar’s novel sheds light on current world conflicts as it reveals a determined Arab insurgency against foreign occupation, from the inside out. However, Djebar focuses on the experiences of women drawn into the politics of resistance. Her novel recounts the interlocking lives of women in a rural Algerian town who find themselves joined in solidarity and empower each other to engage in the fight for independence. Narrating the resistance movement from a variety of perspectives?from those of traditional wives to liberated students to political organizers?Djebar powerfully depicts the circumstances that drive oppressed communities to violence and at the same time movingly reveals the tragic costs of war.